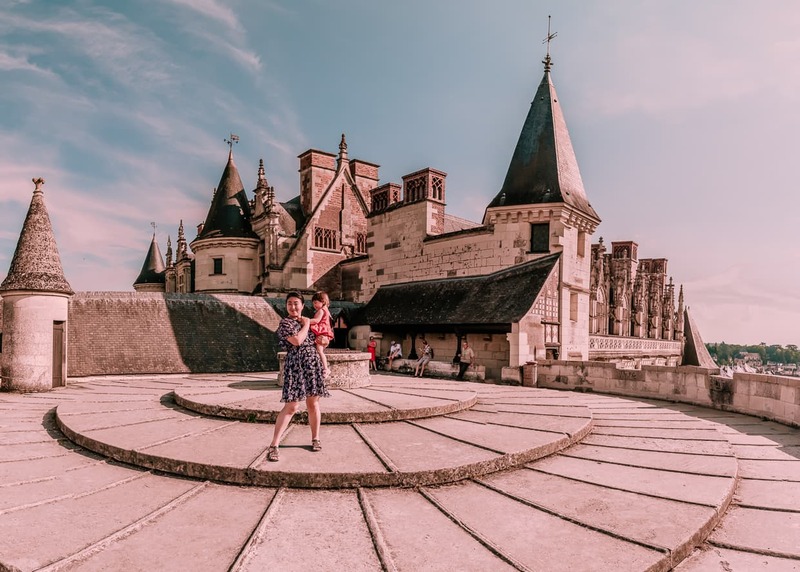 When we were planning our trip to the Loire Valley, Amboise, France jumped out at us as the perfect town for a week of relaxation and photography. 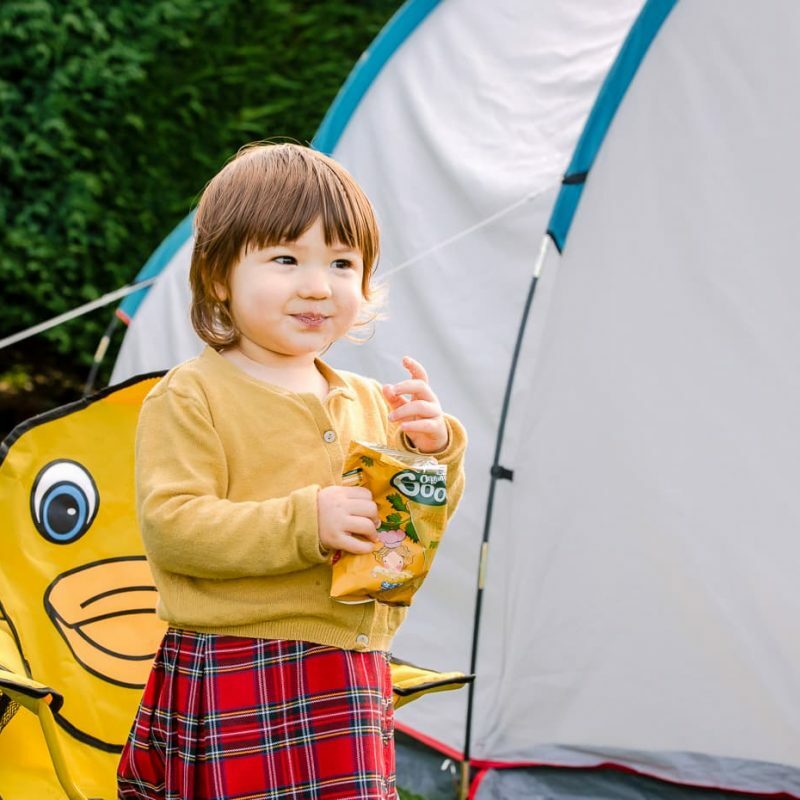 We were in the middle of our monthlong, slow travel road trip through France. We’d just spent two weeks in Provence, and we were eager to photograph the famous “Valley of Kings” before moving on to Paris. 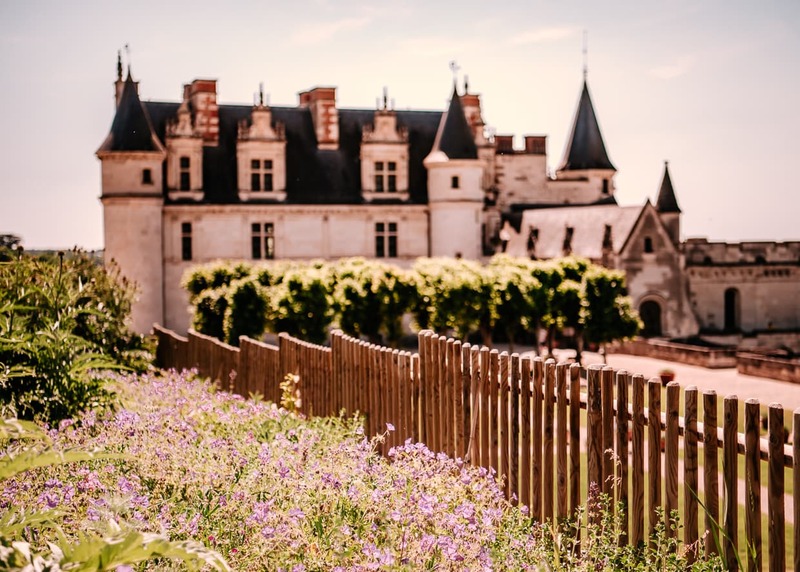 We had three priorities: A nearby chateau, proximity to Loire Valley attractions, and a relaxed atmosphere. Amboise had all of those things. 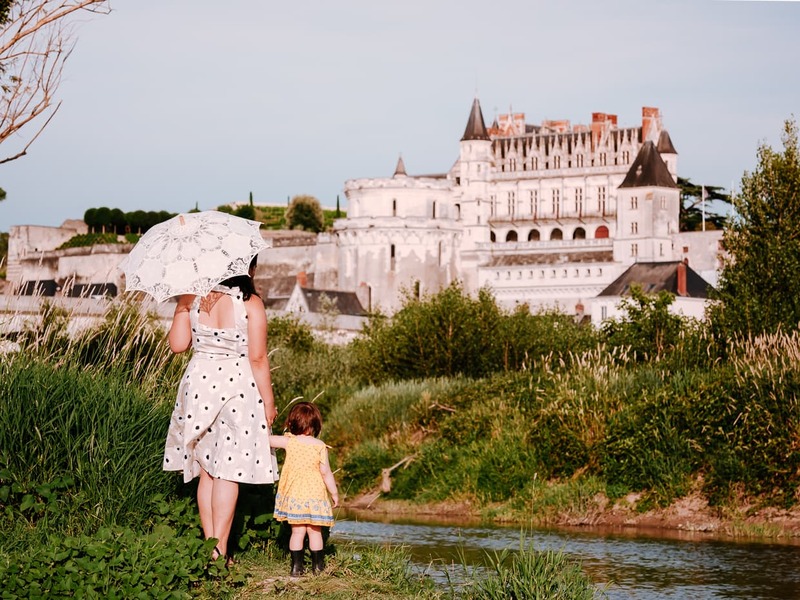 Our week in Amboise fell in late June, and the entire country of France was in the grips of a historic heat wave. 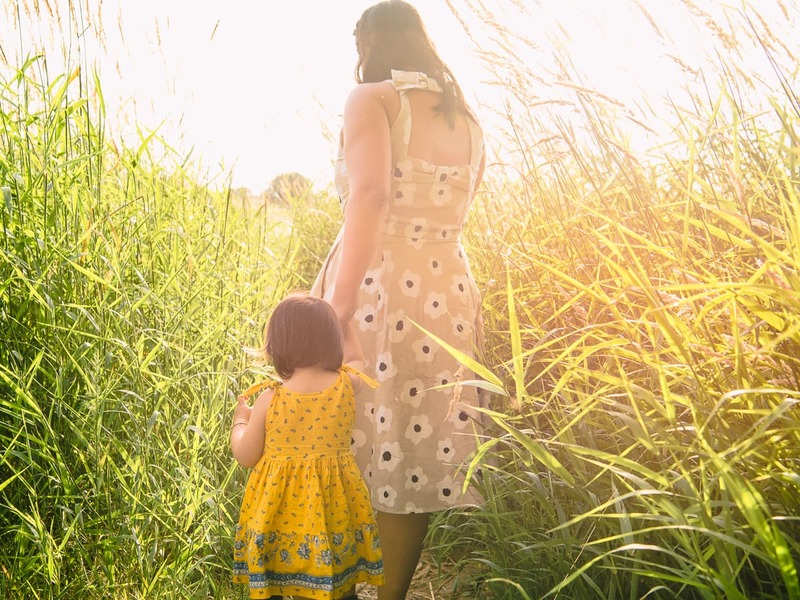 Though you needn’t assume that you’ll get temperatures around 35C (95F) every day like we did, warm weather is a safe bet. 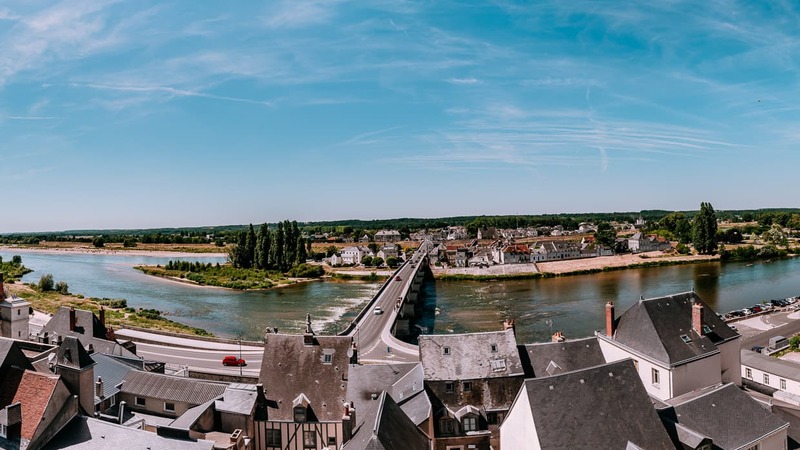 Though June is considered part of the high tourist season in the region, we found that Amboise was far from crowded. As we visited the attractions around town, we never had to wait in lines or fight the crowds. For the most part, we were able to compose our photos without tourists, except at the busiest times of day. 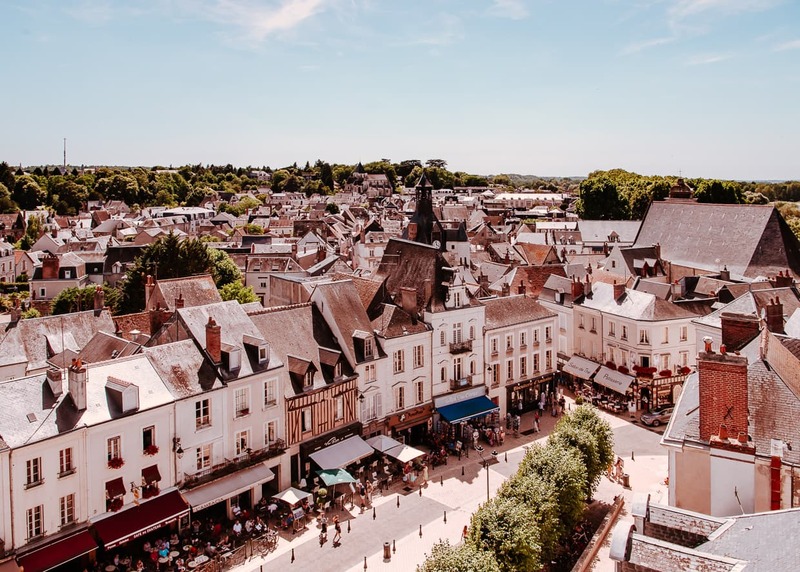 The days were long and though we had a rental car with us for touring the countryside, Amboise is small enough that we walked everywhere inside the town. 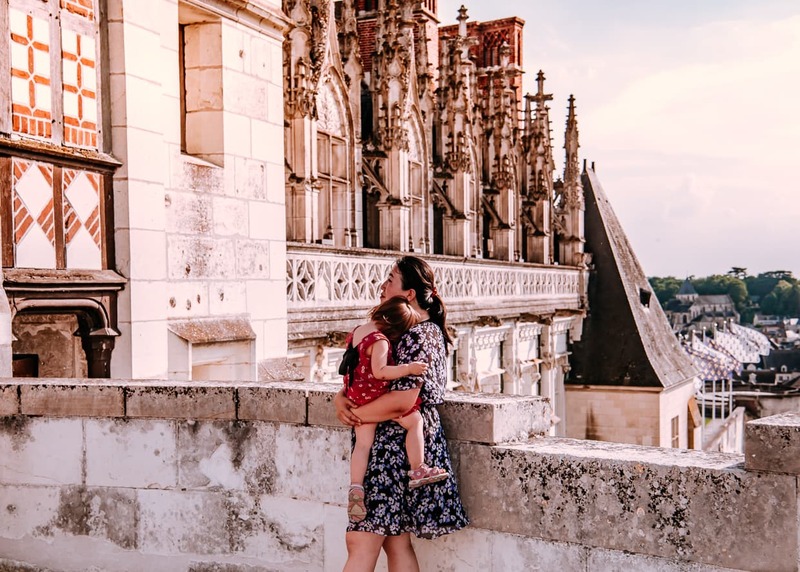 The slow pace of the streets, the gorgeous Loire River, and the castle dominating the skyline made Amboise feel like a vision plucked from the fantasies of a travel magazine. 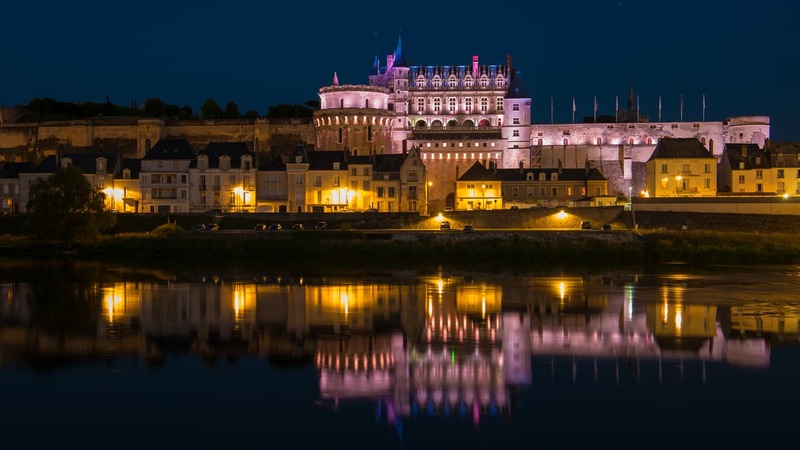 The Loire Valley has been nicknamed the “Valley of Kings,” and there is a reason. 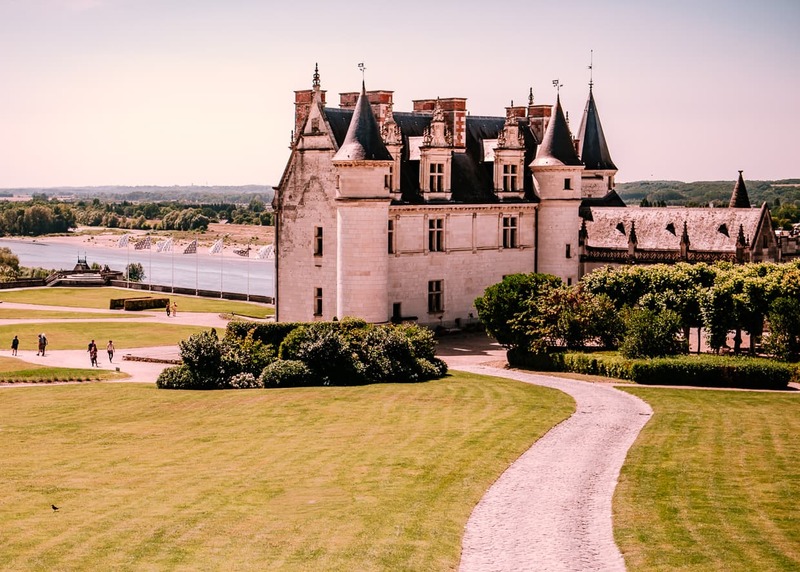 During the peak of French power, wealthy nobles were building chateaux all along the quiet Loire River that flows through central France. 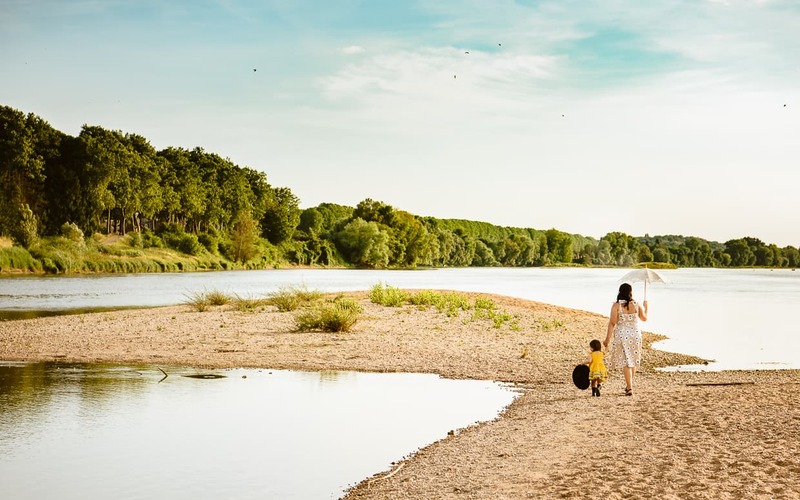 When we weren’t relaxing in town, we were in our rental car, driving up and down the Loire. 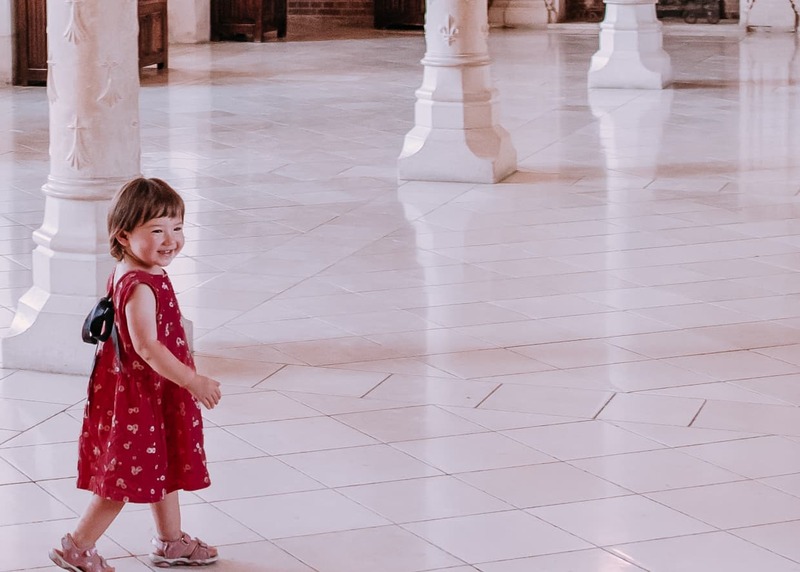 We visited some of the most beautiful and buildings we’ve ever seen, conveniently located within an hour of one another in a countryside that is at once stunning and peaceful. The chateaux range from the unbelievably large and opulent like Chateau de Chambord (Google Maps) to the relatively humble like Chateau de Cheverny (Google Maps), to the breathtakingly elegant Chateau de Chenonceau (Google Maps). 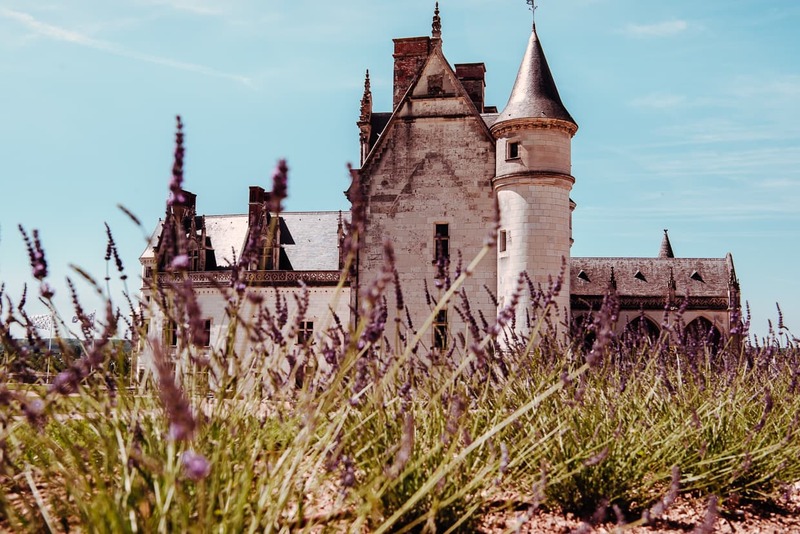 Though most of the chateaux can be viewed from a distance, either perched on a hillside or casting their reflection on the river, taking a tour of the castles and their grounds, can be really rewarding. Depending on how many days you have available, you could either try to do a one day drive by tour, or spend an entire afternoon or morning on each one. 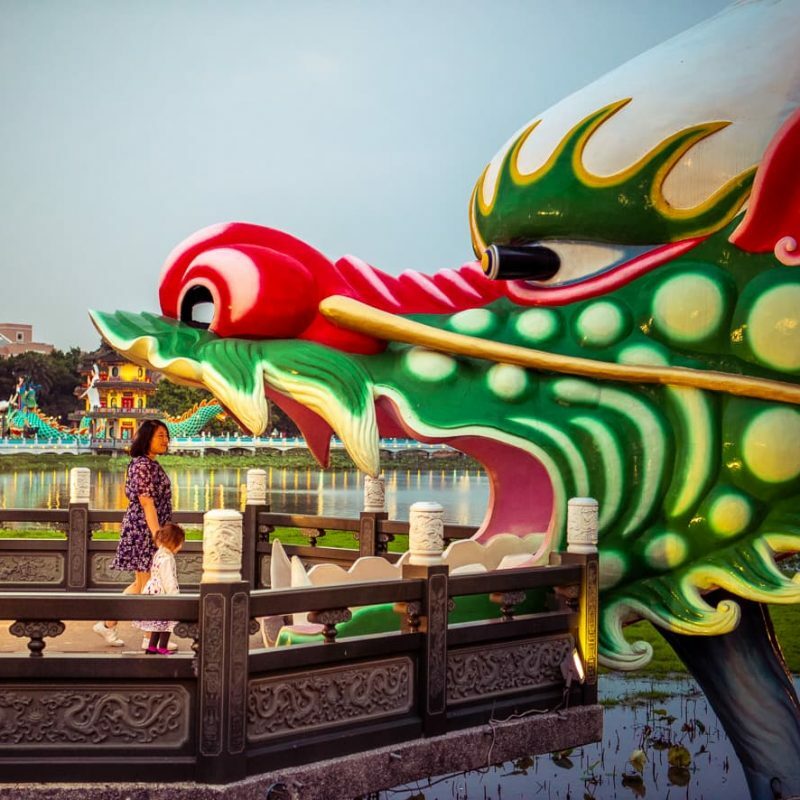 Or, if you are like us, you could do both – several times – planning out photo shoots while you take in the sights. We are in the process of preparing our photography guide to the Loire Valley castles. Check back soon! 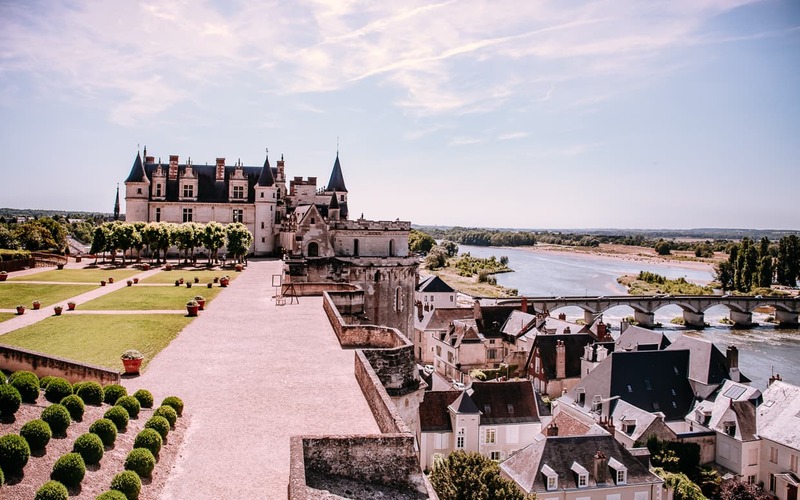 Chateau Royal d’Amboise is an oversized sight for this little French town. To access the gate, walk away from the river on Place Michel Debre (Google Maps) and climb the long staircase on the left side of the road. Pay for your tickets, and then you are free to explore the grounds and stroll through the castle at your leisure. 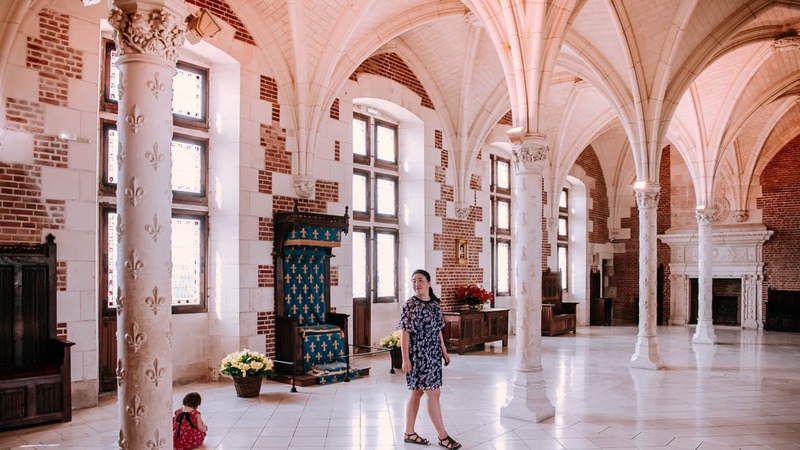 Apart from the throne room and other royal interiors, you can also enjoy lovely manicured gardens, the Chapelle Saint-Hubert, and panoramic views of Amboise and the Loire River. 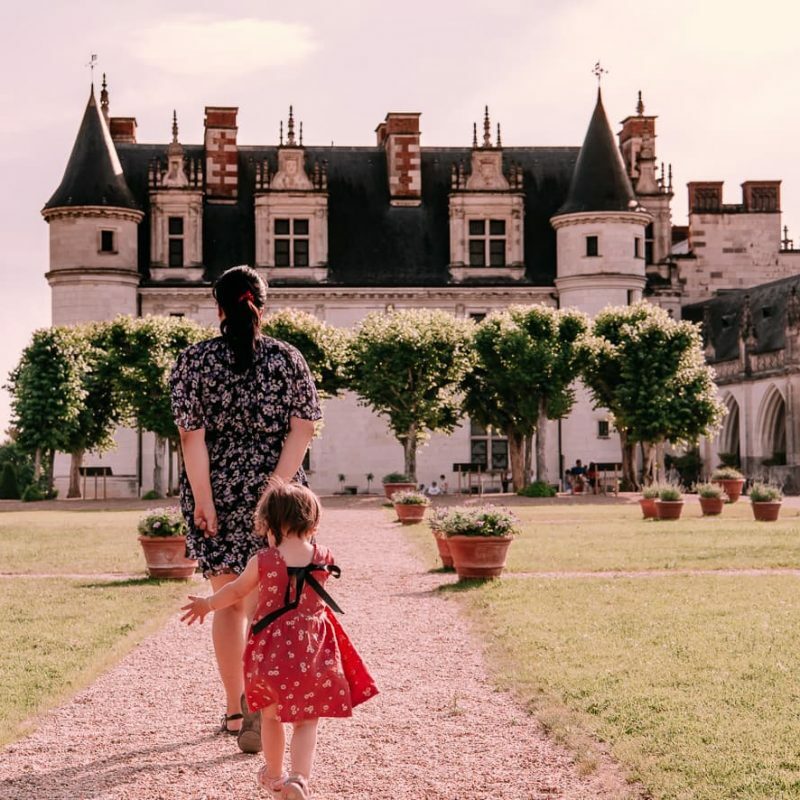 The Chateau itself (along with the DaVinci museum described later), is one of the few places in Amboise where I wouldn’t recommend bringing a stroller. There are many stairs inside the castle, and it shouldn’t be necessary anyway since the grounds aren’t as sprawling as they are in some other French Chateaux. 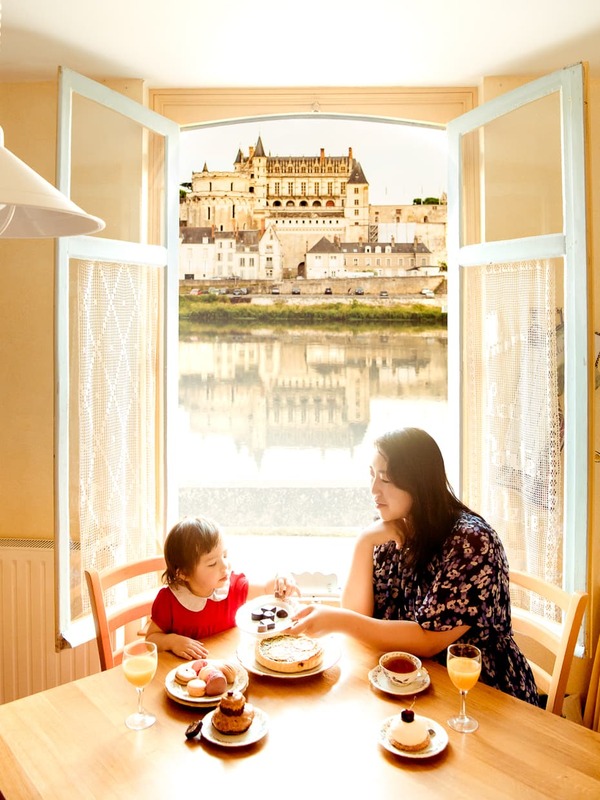 One morning in Amboise, Dannie and I were in the bathroom getting ready for our day when Dannie suddenly froze. “I think I lost a diamond from my ring!” she said. Nobody heard anything or saw it fall, but sure enough, Dannie had a sixth sense that told her a stone had fallen from her wedding ring. It must have just happened because without much searching I found it on the bathroom tile. We did a quick search online and found that there was a jeweler right in town that could repair it. While we waited for the job to be completed, we had an hour to walk around and enjoy the shops on Rue Nationale (Google Maps). Here are some of the places we shopped while we were there. Patisserie Bigot: This dessert shop has everything from cakes to chocolates. Our Airbnb host told us it was the best place in town for sweets, and she wasn’t kidding. It’s a little pricey, but you get what you pay for. All of the deserts were delicious (obviously), but they were also beautiful to look at. We purchased several for a photo shoot we had planned (see the picture of our kitchen farther down in the post). Because it was a blistering hot day and we had to walk back across the bridge with the candies, the shop owner even wrapped our purchase in an insulated bag at no extra cost. Our chocolates made it home unmelted, but the real challenge was taking the photos before our 20 month old baby ate them all! Here it is on Google Maps. C’est la Faute à Voltaire: A nice little book store. Obviously most of the books are in French, but there were a few English language books. We picked up a coloring book for Lisa. We also thumbed through some photography books, looking for ideas. Google Maps. Raimb O Fromages: This is a little fromagerie (cheese shop) where Dannie and I bought a wedge of cheese to enjoy in the evening with some fruit and wine. We picked out a pistachio brie. Pistachios are delicious. Brie is delicious. Pistachio brie is delicious too! We asked the shopkeeper to recommend a wine, and he helped us choose a bottle of local red wine to go with the cheese. I’ve forgotten what it was called, but we certainly enjoyed it. Find the fromagerie here on Google Maps. Coeur d’Or: This is the Jewelry store where we had Dannie’s ring repaired. I think it cost us about $45, and it took about an hour. They also polished the ring so it looked as good as new. Google Maps. 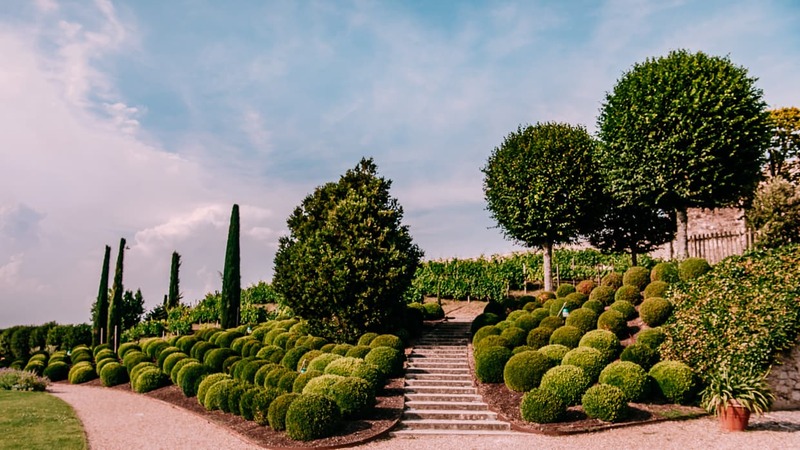 Unless you are the kind of person who knows about these things, you might be surprised to learn that Leonardo DaVinci spent the last years of his life in Amboise, at the invitation of the King of France. There is a museum in the Chateau de Clos Luce (because of course there is another Chateau in Amboise). Inside, you can see models of some of Davinci’s most famous inventions, as well as some amazing ones you’ve probably never seen or heard of before. There is also a short historical reenactment presented via hologram, though – and I’ll have to check this – I’m pretty sure the hologram wasn’t invented by DaVinci. I was pretty excited to see this exhibit. It’s not that I’m a history buff, I just always thought those complicated wooden machines were really charming. When we finally went, it was a spur of the moment thing. Dannie and I left Lisa with her grandmother and went for a stroll and stumbled upon the Chateau on Rue du Clos Luce (Google Maps) where the museum is. We didn’t have our camera with us, which was fine because they didn’t want photos taken in there anyway. Outside the museum we enjoyed relaxing in the gardens (because of course there were gardens outside yet another beautiful chateau). On the way there, keep an eye out on the left hand side of the road. Built right into the side of a steep cliff are a number of cave dwellings that are still in use. Though we didn’t wind up staying in one, there are a couple available for rental on Airbnb. 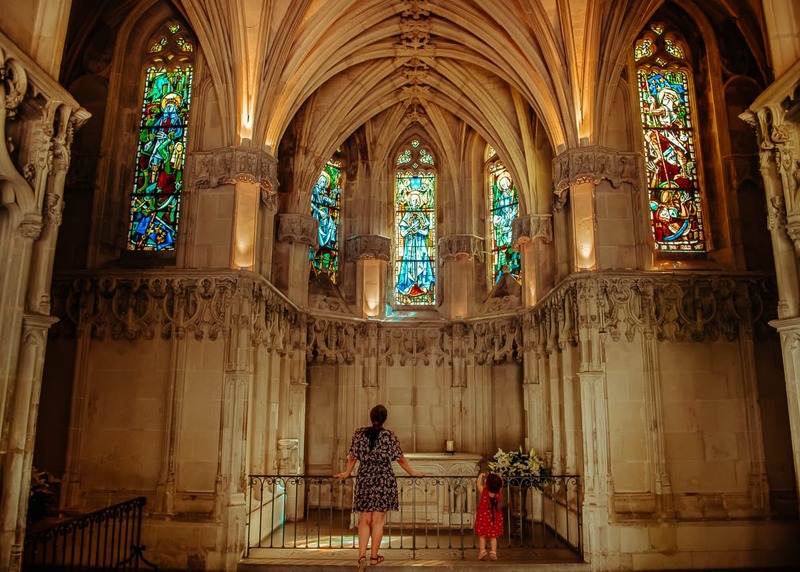 During the heat wave, we could imagine how nice it must be to live surrounded by all that nice cool stone, especially back before the invention of air conditioning (possibly by Leonardo DaVinci). The Loire River flows through the town of Amboise, tumbling over rocks as it passes under the Pont du Maréchal Leclerc (Google Maps). In the middle of the river is the Ile d’Or, a small island with some homes, restaurants and a park. On the southwestern tip of the island there are a number of sandbars, and we spent a lot of time there with Lisa, playing in the sand, walking through the tall grass, and throwing stones in the water. For the photo above, I exposed for the shadows, and for the photo below, I exposed for the highlights. Different situations require different photography techniques. 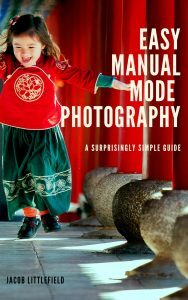 Sometimes your camera is bad at guessing what you want your photo to look like, but if you want to seize control and leave nothing up to luck, consider reading my e-book, Easy Manual Mode Photography. The Ile d’Or is the best place to take photos of the Chateau, including from down on the sandbar. 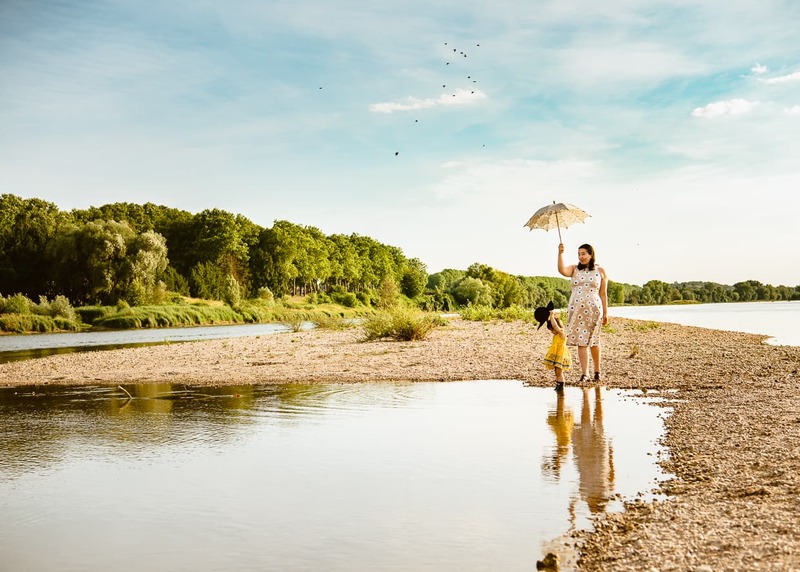 For one particularly elaborate photo shoot I had Dannie and Lisa pose down on the sandbar while I ran over to the far bank of the river and photographed them with the Chateau in the background. Even with our 70-200mm lens, this was a long way, so they held balloons to make sure they were visible. Just be careful because the current can be pretty fast in places. When I said earlier that the best view of the Chateau Royal d’Amboise was from the Ile d’Or, what I actually meant was that the best view was right through our Airbnb’s kitchen window on the Ile d’Or. We stayed in a rental called The Blue Door, which was run by a very friendly woman named Chantal. 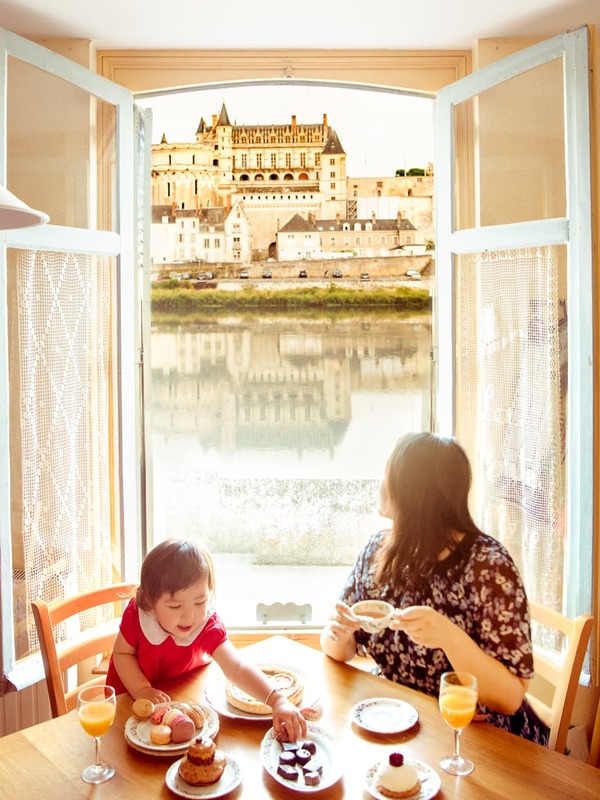 The window looked out directly over the Loire, with a perfect view of the castle and the bridge. Staying here it was especially easy to get a night time photo. I just stepped outside with my tripod. If you are thinking about signing up for Airbnb, use this link to save $40 on your first rental. 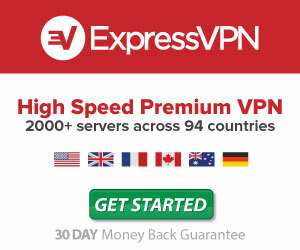 We’ll also earn a commission at no cost to you, which will help us continue our travels. Also, don’t forget to read our Airbnb tips for slow travel. If you stay here, don’t be surprised if you get a visit from the neighborhood cat. At first we were surprised when he jumped through our window and played with Lisa’s toys. We called Chantal and she told us the story of how she had found him after he’d been hit by a car. All the neighbors chipped in for his vet bill, and once he was recovered he became a local darling. He certainly seemed content sitting there on that windowsill. 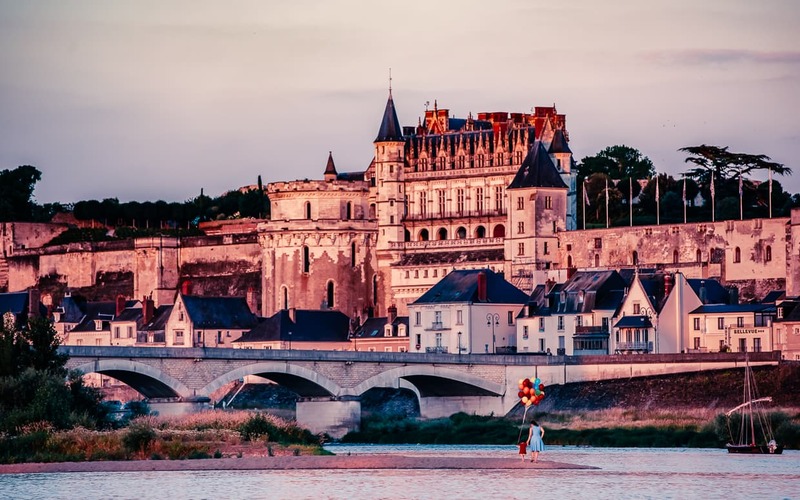 Even though there’s a lot to do right in Amboise, the entire region is so beautiful that you are going to want to drive around. Sure, there are tours you can book, but having a vehicle will give you the freedom to explore at your own pace. The roads in France are well maintained and easy to drive, even if you don’t speak French. If you don’t feel like looking up directions, just set out for a drive up and down the Loire and see what you find. Oh man, was it hot while we were there. Even though I know it was an unusual heat wave, I’d recommend that you dress for warm weather. 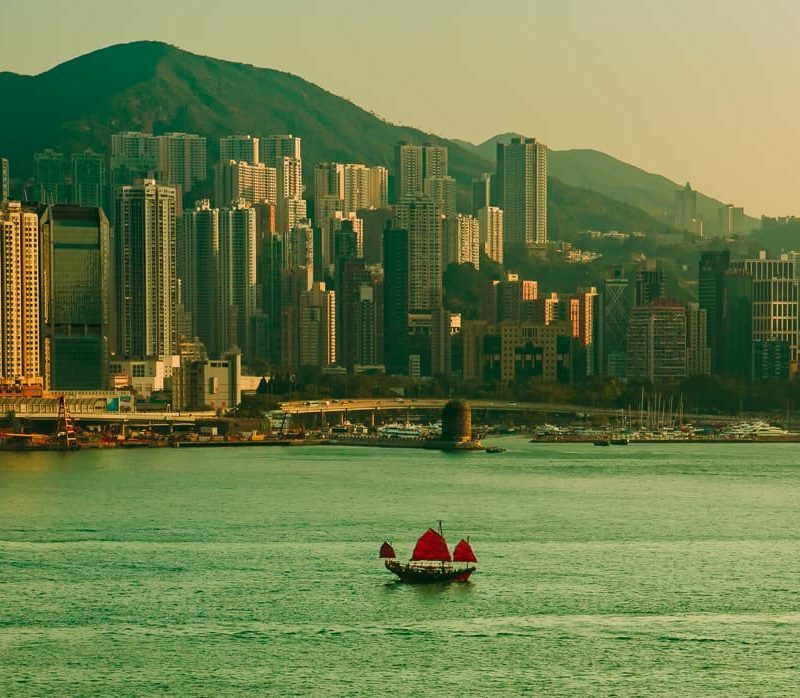 The sun was up from six in the morning until ten at night, so bring your sunblock and even an umbrella or parasol. All that sunshine is perfect weather for a hot air balloon ride. We never got our act together to go up, but it seems to be a popular pastime. Every day we could see balloons rising up over the Chateau across the river. If anyone has ever been hot air ballooning in Amboise, please let us know what it was like in the comments. Despite a few stair filled museums, the town is pretty stroller friendly overall. Dannie and I regularly pushed Lisa across the river to shop for groceries or to explore the town. The town may have an old feel to it, but the streets are well maintained with modern asphalt instead of cobblestones. The Tourist Office (Google Maps) is easy to find right on the main road along the Loire River. It is full of maps and information about attractions and tours. The staff there speaks English and is happy to help you out. They even recommended some good routes for touring the castles. 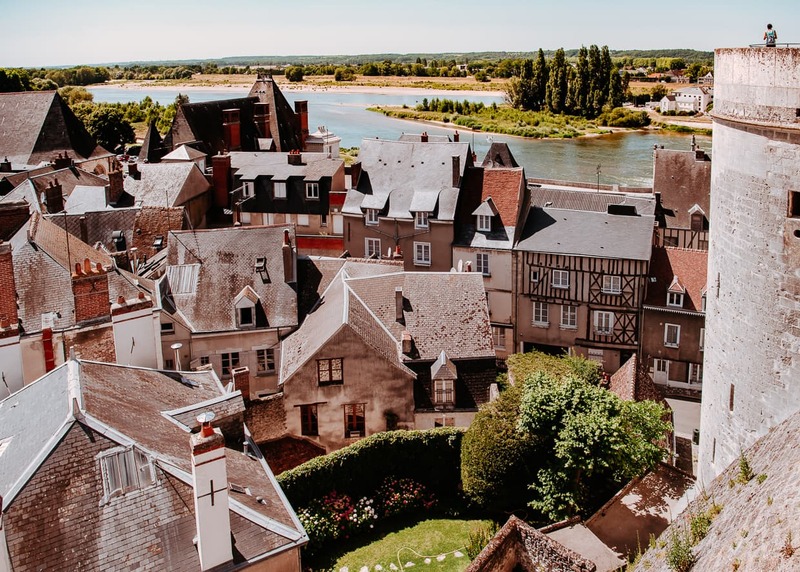 We recommend slow travel no matter where you are going, but Amboise, France is the perfect place to really take it easy. We had just finished a grueling to days of Lavender Photography, and by the time we got to the banks of the Loire, we were ready for a rest. Of all the sights we saw there, our best memories are still the moments we spent after Lisa went to bed, sipping a glass of wine by the window. The sound of the river outside, and the light from the castle at night are always going to be what we think of when we remember our time in France. Beautiful photos! And what a story about your diamond! That’s amazing that you were able to find it so quickly! Thanks! We still can’t believe we found it!